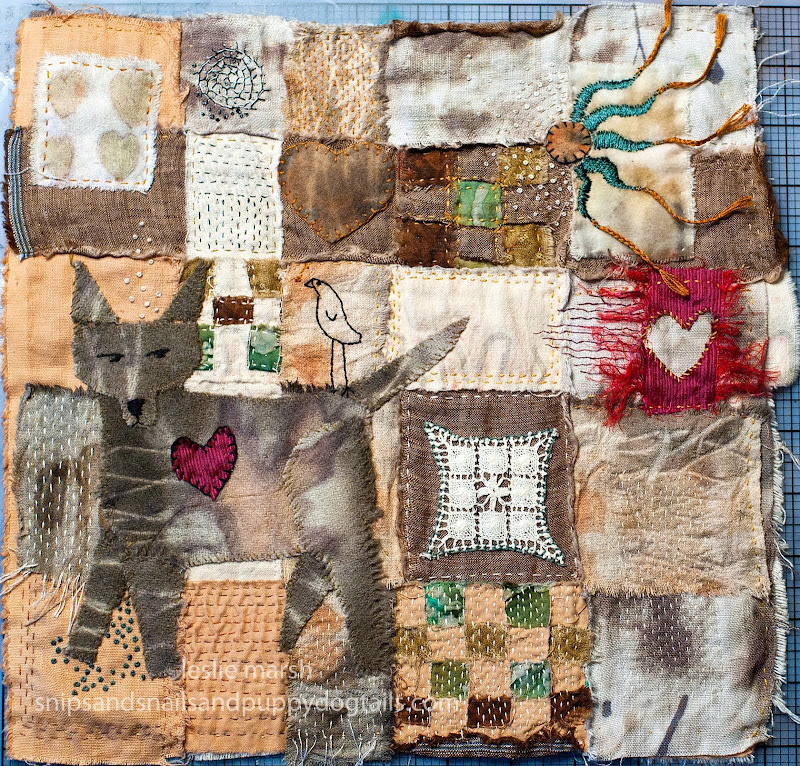 Jude Hill introduced me to the joys of stitching a couple of years ago, but a persistant, stabbing pain in my right thumb sent me to a specialist for a morning of bizarre electrodiagnostic testing for carpal tunnel, which I did not have. "Stop doing what you've been doing," was the advice of the costly specialist. So, I've gone back to stitching, but I've added a daily dose of Vitamin I (ibuprofen) to my sewing basket. If there was just a 'vitamin' that could do laundry. During our next visit we have to do this. I just LOVE it!! this is Truly wonderful. i too have been touched by jude . i have started a new "old " journey with cloth and dyeing theses past 2 years . i hope you continue to do more with this medium . What a lovely story cloth! Gazing at the cloth, I recognized Jude's influence. It's delightful to see a whole cloth...a whole story. Just wonderful! I see Jude here as well but mostly I see a beautiful stitched story by you! Insteading is the best of all...off to do myself today. ooh. This doesn't seem good! How is it feeling now?